People have always used plants as medicines and they are still the main source of medicine for 70% of the world’s population. Orthodox medicines are generally petrochemical copies of the active constituents of these compounds. Herbalists, however, use extracts of the whole plant making a gentler medicine without unwanted side effects. Medical Herbalists make use of plants whose traditional uses are backed up by modern scientific research and clinical trials. 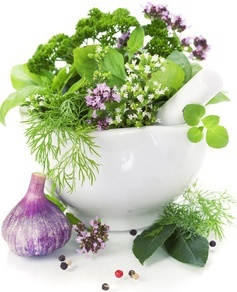 Herbalists take a holistic approach to illness, treating the underlying cause of disease rather than just the symptoms. Herbal Medicine is suitable for people of any age, including children, who respond especially well to the gentle actions of herbs. Each patient is treated as an individual as a Medical Herbalist recognises that no two patients are the same.